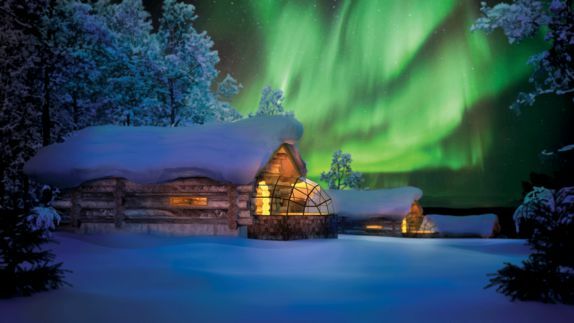 As you walk through the snow laden gates of the Kakslauttanen Arctic Resort, a Winter Wonderland welcomes you as you pass by christmas trees and reindeer farms sprinkled across the snowy northern countryside of Finnish Lapland. 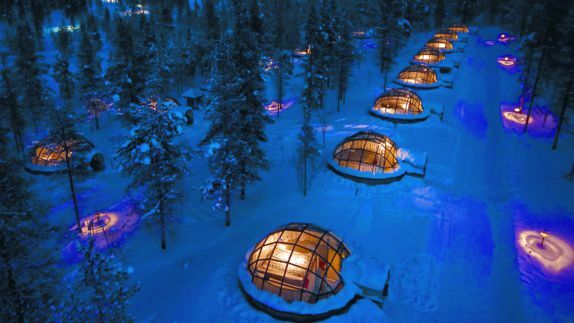 This family resort truly embodies the charm of the North Pole and while the landscape might be snowy, it will leave you melting. What makes the Kakslauttanen so magical? How are the different seasons? 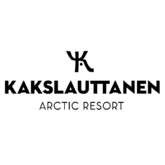 Hidden deep within the Arctic wilderness, the Kakslauttanen Arctic Resort is almost at the Northernmost tip of mainland Europe and not far from the Arctic Sea and the Northern Cape. Enjoy fields covered in glistening snow, frost covered arctic forests and reindeer farms as sunlight filters through the trees around you. As the sun sets, watch the northern lights cast their magical glow and let Narnia come to life around you. Where can I get cozy and escape the cold arctic air? 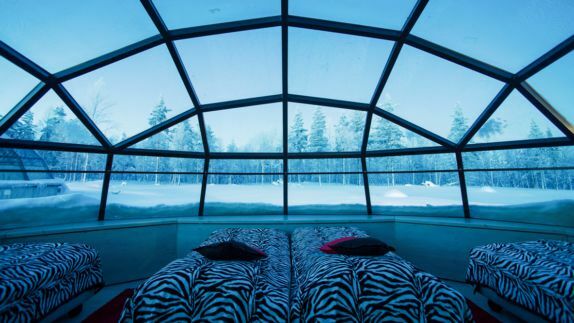 Will I see the aurora lights from my bed? 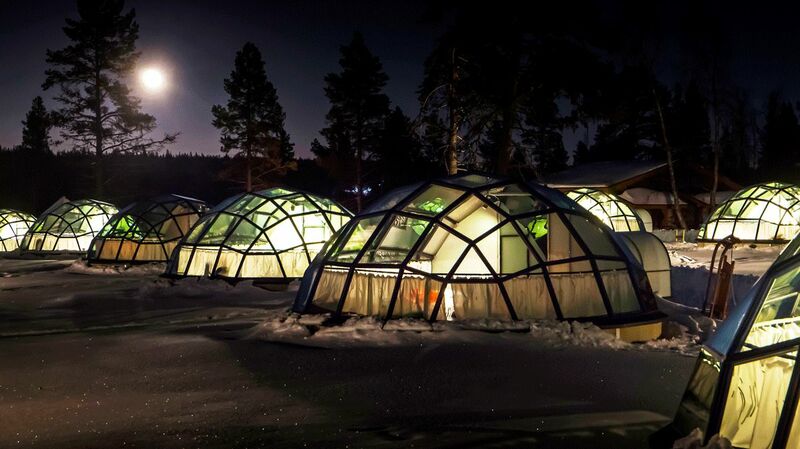 Snuggle up for nature’s sweetest bedtime stories filled with tales of dancing luminescent polar lights, skies filled with twinkling stars and the vast arctic nature surrounding you. As you create beautiful, once-in-a-lifetime memories with loved ones, doze off into a soothing winter slumber to views that dreams are truly made of. Where can I rejuvenate and enjoy a relaxing day? Which types of Saunas await me? 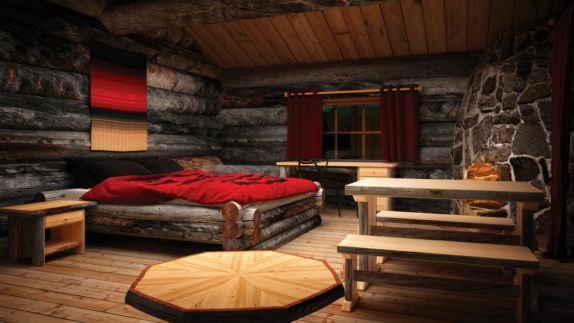 Work a sweat, detoxify and enjoy the Finnish way of life in any of the three lavish on-site smoke saunas that are considered Finnish sacred healing places. Top off your northern spa experience and participate in the ancient tradition of ice swimming to get your blood circulation flowing. You are sure to leave your unique day at the saunas with flushed rosy cheeks, relaxed and connected to nature. What kind of cuisine can I expect? Where can I enjoy a northern dining experience? Finns are fiercely loyal to their culinary roots which makes their cuisine an important cultural element every traveler to Finland must experience. The Kakslauttanen’s restaurants are the perfect place to immerse yourself in the Lappish cuisine as the majority of dishes is focused on the local traditions, using fresh ingredients of the region that are sure to get your taste buds soaring. What kind of arctic adventures await me? Will I see nordic wildlife? 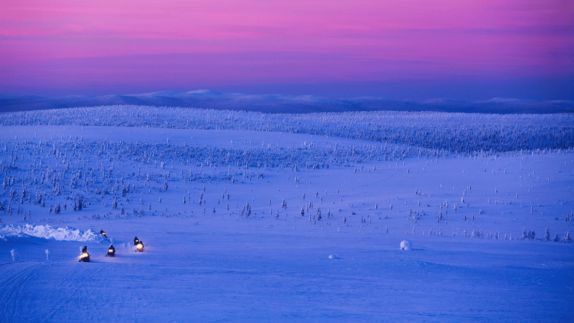 Enjoy a Finnish blessing from above as soft snowflakes brush your face while you cross the arctic wilderness on a sled pulled by a herd of huskies. 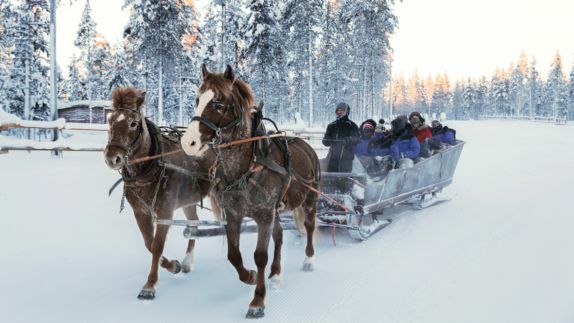 On your stops step away from daily life and reconnect with the magical nature around you as you cuddle up to your new loyal furry friends and breathe in Lapland’s fresh, clean air.